Some see the master level as the completion of their Reiki training. The truth is, however, that there is nothing to complete, nothing to attain, and that you will not gain anything that you did not already have. The master level of Reiki is an awakening to this truth, the realisation that we never needed to look to external sources to find joy within. We now realise the simplicity of life, and of Reiki, and delight as we partake of both. In the first degree of Reiki, the seed was planted within you to realise that you are and always have been Reiki. The master level makes this vividly clear to you in the form of the traditional Usui Shiki Ryōhō master symbol. 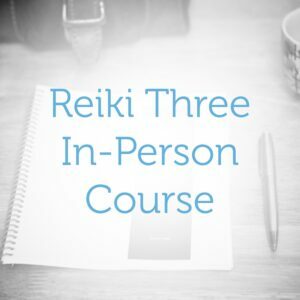 This empowers you to teach Reiki to other people, as well as opening you up to new healing tools, both on the treatment table and in your everyday life. Receive the final and highest initiation in the Usui Shiki Ryōhō system of Reiki. Learn how to work with the master symbol both in treatments and initiations. Gain instant access to the ‘Master-Teacher Pack’. This contains absolutely all the materials you need, including manuals, training videos, and practical teaching notes, to guide you as you teach each of the levels of Reiki. Many teachers separate level three into two separate courses, level 3a, the advanced practitioner degree, and 3b, the master-teacher degree. However traditionally in Usui Shiki Ryōhō these have been taught together in one course, and this is how it is taught by the International School of Reiki. This course includes the advanced practitioner degree and the master-teacher degree. It is not a problem if you simply wish to deepen your Reiki practice but don’t yet have any plans to teach Reiki. You are most welcome to join this course, and gain the insight and skills of a master-level Reiki practitioner. The ability and qualification to teach Reiki will also be with you for life, to activate if and when you know the time is right to do so. Integrated into this course is the master-teacher degree of Reiki, which is essential for anyone who wishes to teach. However many fresh graduates from a Reiki master-teacher program find themselves in something of a vacuum. They’ve learned all the skills that they need, and they’ve got a collection of theory and techniques that they want to teach, but how do they actually get started as teachers? The issues are practical, not knowing how to set-up Reiki classes, psychological, having the confidence to put yourself out there, and entrepreneurial, like knowing how to make a website and how to attract students. But one of the biggest obstacles is having to create your own teaching materials. You don’t want to just copy the manuals your own Reiki teacher gave you, but when you look at how much time and work you need to dedicate to making your own manuals, it’s daunting. This is where the International School of Reiki Master-Teacher Degree can help you. 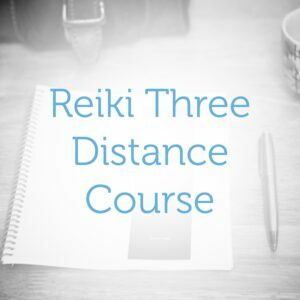 a clear path to running your first Reiki course. instant access to all of the International School of Reiki course materials, including manuals, audio files and videos. You will be licensed to use these teaching materials right away in the Reiki classes you teach or adapt them as you choose. detailed teaching notes, including a full program for each day of each course, practical tips for choosing a venue, and exercises and meditations to use on the course. The Master level of Usui Shiki Ryōhō, taught by Kit Johnson. For more details about this course, see the Reiki Master course page.